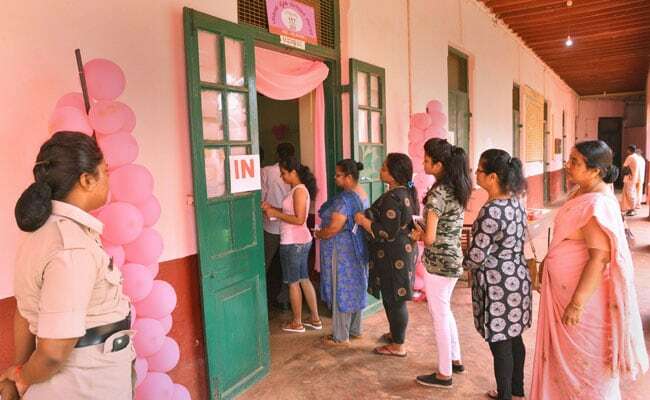 The Karnataka election 2018 results for the key election will be announced today after the counting of votes, which is set to begin at 8 am. How can I check Karnataka assembly election result 2018 online? NDTV is covering the Karnataka assembly elections 2018 extensively. You can check out the results here. Where can I watch live TV coverage on Karnataka assembly election result 2018? You can watch NDTV's live TV coverage of the Karnataka assembly elections here. Where can i get live updates of the Karnataka election result 2018? Where can I get the latest information and updates on the Karnataka election results 2018? You can receive the latest news on the Karnataka election results 2018 here. How I can compare Karnataka election results 2018 from previous election results 2013? You can compare the results of the Karnataka assembly elections 2018 with those from the previous assembly polls in 2013 here. How can I find live constituency wise results online on Karnataka assembly election result 2018? You can see the live results of every constituency on the Karnataka elections here. How can I find live party wise results online on Karnataka assembly election result 2018? You can see NDTV's live party wise results of the Karnataka assembly polls here. Where can I find vote sharing percentage online on Karnataka assembly election result 2018? You can see the vote sharing percentage of the Karnataka assembly elections 2018 here.